Yes, a beautiful country is a wonderful place to be anytime, but for this recipe we are talking about a wonderful cheese patterned after the Italian cheese 'Bel Paese', which means beautiful country in Italian. This cheese first grabbed my attention when seeing it everywhere in Italy as the essential table cheese. It is apparently the "go to" cheese for snacking in Italy. Yes, a very fresh cheese that goes well with everything it seems. Loved by both young and old alike. 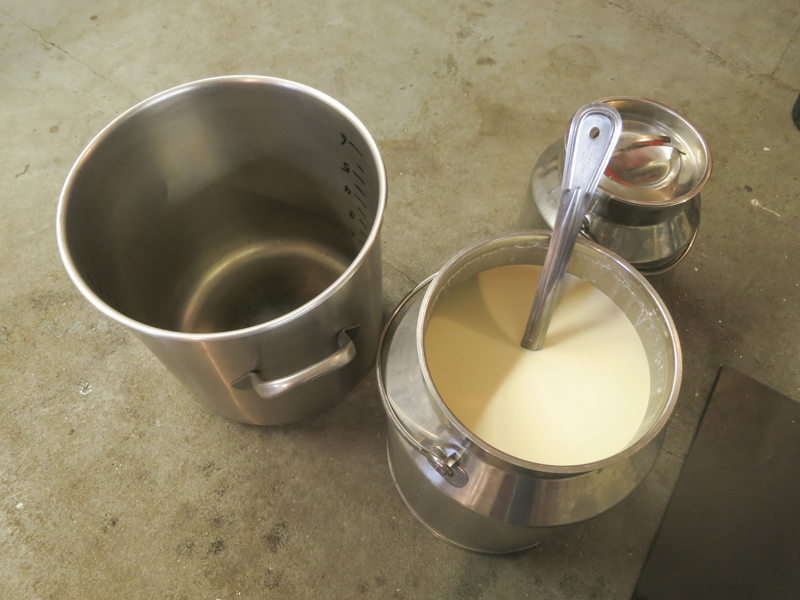 Although it always seems to be made by large scale commercial producers, I began to think of what it could become if made from really high quality milk by a small farm or by the home cheese maker. I was not disappointed at all by that decision, as it turns out, because it's become another one of my real favorites here and a real star in my Italian workshops when we make it there. Bel Paese is one of the best known and most popular of a group of uncooked, soft, sweet, mild and fast-ripened Italian table cheeses. Cheeses with similar character and names like Konigskase, Bella Alpina, Bella Milano, Bel Piano Lombardo, Bel Piemonte Fior d'Alpe, Savoia, and Vittoria have been made throughout Italy, as well as in other European countries, under such names as Schonland and Fleur des Alpes. 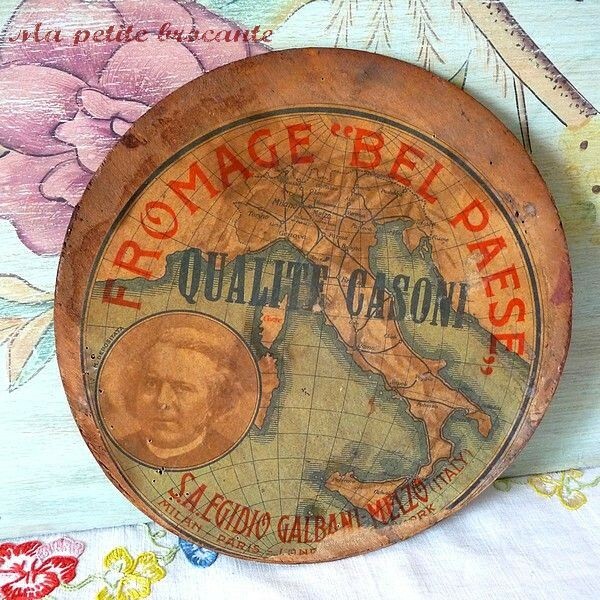 Bel Paese is a fairly recently developed cheese, first created in 1906 by Egido Galbani in the region of Lombardi just outside Milan. It is still made by a company bearing his name. His intention was to produce a cheese with a soft and delicate flavor where the aroma and the flavor of the milk were to stand out. The Galbani Cheese Company is still one of the most prominent producers of the cheese today. 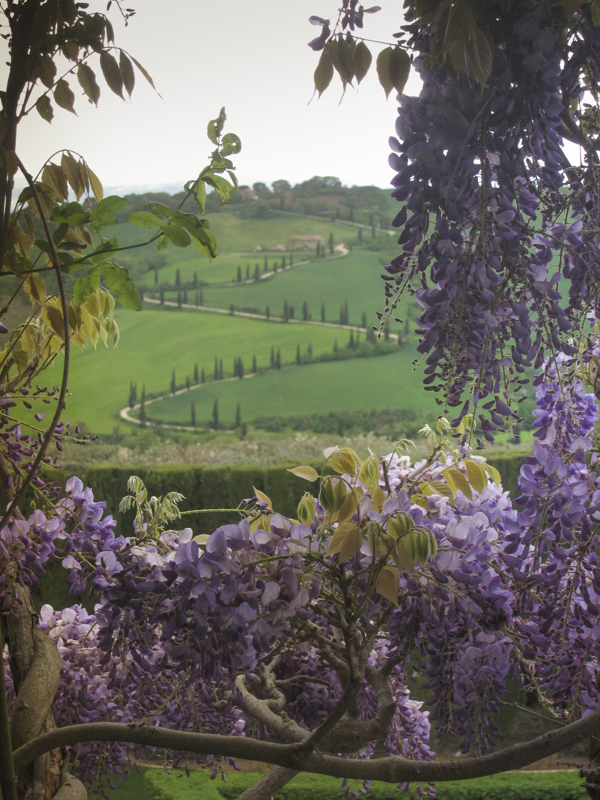 The cheese was named for a book written by Antonio Stoppani entitled "Il Bel Paese" in 1876 which particularly deals with the beauties of the Italian landscape and how it is effected by geology and geography. One of the most interesting aspects of this book is that the title has been taken as a common reference to Italy with both good and not so good connotations. The naming of the cheese and its acceptance as one of the favorite cheeses in Italy fits in well with all of this I think. If Italy has a national cheese, I think Bel Paese would be it, but then again the independent nature of Italians does not work like that. If you wonder at all, what I mean by this, look up the word 'Campanilismo', it will explain a lot about who the Italians are and why we love the Italians. 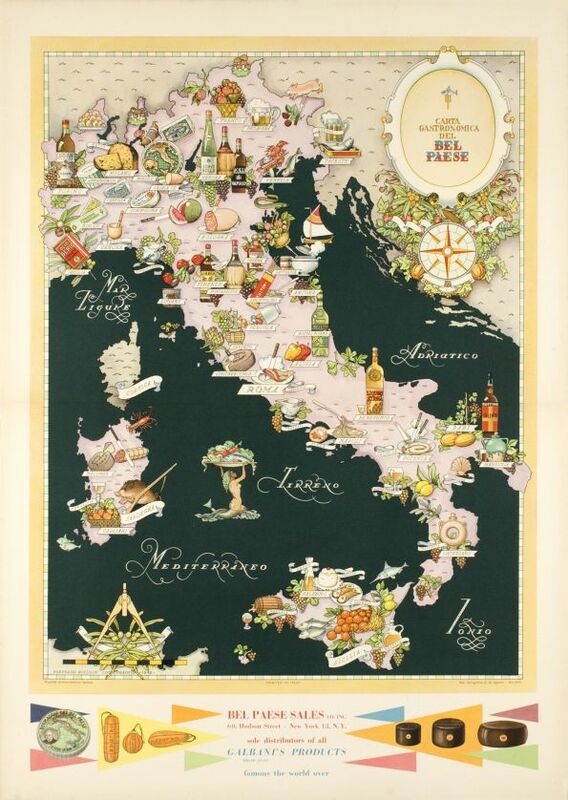 An image of Stoppani, along with a map of Italy, is typically used on the packaging of Bel Paese produced in Italy. American manufacturers had tended to use a map of the US on the packaging, and this allowed customers to easily distinguish an Italian product from the American one. I have seen evidence of it being made in the USA (Patent info from 2011 links its license to Galbani in Italy) but have never seen the American version in stores. In fact, one of my sources for developing this guide came from an April 1939 bulletin by the USDA entitled "A Soft Cheese of the Bel Paese Type". In light of this, I find it odd that I have not seen an American version of Bel Paese. 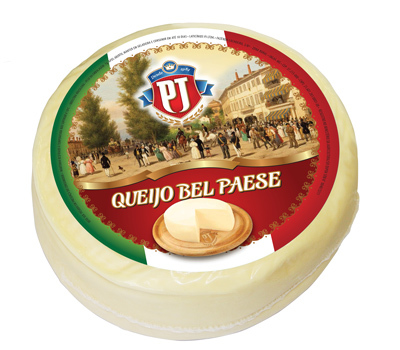 Bel Paese is a semi-soft Italian cheese noted for its smooth texture and buttery taste. While similar to many of the other semi-soft cheeses like the French Saint Paulin, German Butterkase, and even Havarti, it does have a very different supple texture that results from its unique making procedure. It has a very creamy buttery taste, but while soft enough to seemingly melt in your mouth, it is firm enough to slice at the table for serving. Bel Paese cheese will go quite well with a few pieces of fruit allowing the warm, buttery flavor of the cheese to contrast the sharp sweetness of figs, melon, etc. It is also a cheese that melts smoothly for sauces and baked dishes and is often substituted for Mozzarella in baked dishes and Pizzas. I am sure you will find many more uses for this cheese as well. Then is increased to a temperature of 106-108°F after just a short ripening time. This very unusual higher temperature procedure is partially responsible for the firm texture in such a high moisture cheese as well as the elastic nature of the cheese. You may be wondering why the Meso culture was even added, since as the milk temperature passes 102-104°F, the Mesophilic culture will no longer play a part in the fermentation. However, the enzymes that have been left behind by these Meso-bacteria will play an active role in the short aging life of the cheese. The Thermophilic cultures will then be left to the task of converting the lactose to lactic acid and developing the proper acidification for this cheese. Bel Paese is not traditionally waxed but is allowed to form a natural but light washed type rind, which is washed clean after a very short aging. The final cheese is then usually foil wrapped to prevent further mold growth and held at cold temperatures when ready for the table. Bel Paese has an unusually low dose of culture, at a rate of about .25-.5% active culture addition, whereas most other similar cheeses require about 1-1.5% . It requires a rather complex combination of Mesophilic and Thermophilic cultures plus the Mesophilic are only active a short while until the high temperatures (>102°F) kill them off. This is the highest temperatures at which the rennet is added (108°F), of any cheeses I have made. Once I had my motivation to do it established, I then had to look for source guides that seemed logical. The first one I found with good details was the 1936 pamphlet from the US Dept. of Agriculture on making a version of the cheese as mentioned above. I then received a great guide for making this from a friend of mine, Val Bines in the UK who has taught cheese making in England for many years. After using this info for a couple of cheeses, I felt that my results were in fact better than the mild cheeses I found in Italy and that making with both raw milk and pasteurized milks produced some very good cheese. The difference I think is the fact that a hand made cheese that gets all of the TLC and attention to detail can easily improve on the mass produced cheese that I originally found.